BRIGHAM CITY, Utah – Storm Bowling Products is excited to announce an addition to an already strong Storm Collegiate lineup for the 2017-2018 collegiate season. 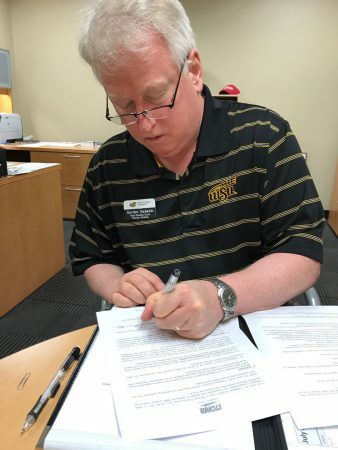 The most successful program in collegiate bowling, Wichita State University has officially signed on as a Storm-sponsored college. “We are beyond excited to embark on this journey with Storm Products,” Wichita State head coach Gordon Vadakin said. “We know this partnership will certainly help move our program forward, and we are always looking to do that." The Wichita State Shockers have proven their strength in the collegiate ranks. With 20 total national championships, nine singles national championships, 18 Academic All-Americans, 140 All-Americans and 11 National Collegiate Bowling Coaches Association Bowlers of the Year, the Shocker program show no signs of stopping. Storm Collegiate is a Storm Products initiative focused on giving collegiate teams the extra boost they need to succeed on the lanes. Initiated in 2007, the Storm Collegiate Program is a way to support young and up and coming bowlers in our sport. With more than 40 Storm-sponsored collegiate teams, Storm realizes they are an instrumental part of the bowling industry and believe by giving them the support of Storm Bowling Products, they will succeed on a higher level. For more information about the Storm Collegiate Program, visit StormBowling.com.